NSFA, Panacan, Davao City - After the NPA’s directive of intensifying attacks nationwide, units under Eastern Mindanao Command with the support of the communities were able to foil a possible NPA attack in Eastern Mindanao. Also for the month of August, six encounters transpired in the EMC area of jurisdiction that led to the recovery of 24 high powered fire arms, 26 Improvised Explosive Devices, death of one NPA member and capture of four others, while two members surrendered to the govt. Said skirmishes also resulted to the wounding of three Police Officers and two soldiers. The skirmishes came after troops received reports from barangay folks on the presence of armed men in their respective communities. The first encounter took place at Bgy Kiburiao, Quezon Bukidnon between the composite Army-PNP Force against communist terrorists in the early morning of August 2, 2017. It resulted to the recovery of one 57mm recoilless rifle, two laptops, five IEDs, 10 hand grenades, detonating cords, blasting caps and ammunitions. Another encounter transpired at San Lorenzo, Prosperidad Agusan Sur late afternoon on the same day. Earlier that day at about 2 a.m. a patrol of the Police Regional Public Safety Battalion of Police Regional Office 13, encountered MOL ten NPAs at Sitio Crasher, 51P YK 522 923, Brgy Aclan, Nasipit, Agusan del Norte. Firefight lasted for about 40 minutes. On a separate occasion, at around 10:40 a.m. August 3, 2017 troops of 73IB encountered a group of NPA members at Sitio Malbag, Brgy Little Baguio, Malita, Davao Occidental. The fleeing NPA rebels left behind the dead body of an unidentified NPA rebel and an M16 armalite rifle. Meanwhile, a series of encounters transpired in the early morning of August 3, 2017 involving the troops of 25IB and the NPA rebels belonging to Guerilla Front (GF) 33 and Pulang Bagani Company (PBC) 4, the first incident took place at about 6:55 at Purok 6, Mayaon, Montevista, Compostela Valley Province. The 15-minute firefight against 20 NPA members led to the recovery of four M16 armalite rifles, one M14 rifle, two M1 garand rifles, one M2 carbine rifle, one caliber .38 pistol, several personal belongings and subversive documents. An hour after, pursuing troops reengaged the fleeing rebels in a 15 minute firefight. The incident led to the recovery of additional high-powered firearms comprising of two M16 armalite rifle, two M14 rifle, two M1 garand rifle, one AK-47 rifle, an IED and several NPA personal belongings. 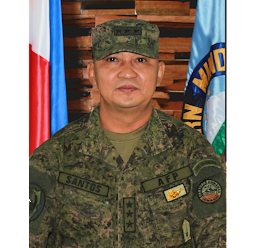 A soldier was also slightly hurt while the fleeing NPA rebels were believed to have suffered heavy casualties manifested by bloodstains seen in the encounter site. Meanwhile, at around 1:00 a.m. August 3, 2017, joint Army-PNP forces composed of 39IB, Special Action Force and Cotabato Provincial Police Office effected the arrest of Ariel Rebuta alias Siring, ranking leader of the NPA-Milisya ng Bayan (MB) of Guerrilla Front (GF) 51. Armed with warrant of arrest # 157-2017 issued by RTC Branch 17, 12th Judicial Region, Kidapawan City for the possession of unlicensed firearms in Purok Centro, Brgy Biangan, Makilala, North Cotabato. The arresting team recovered from Rebuta's possession three M16 armalite rifles, 1,500 rounds of ammunition and an IED with detonating switch. Rebuta was turned-over to Makilala Police for filing of appropriate charges. 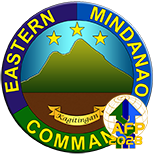 Meanwhile, Eastern Mindanao Command will continue to intensify its operations to secure the communities. The Command will not allow NPAs to take advantage of the situation brought about by the threat of terrorism, for them to conduct major atrocities. The Command shall continue to work with different partners from different agencies through the Community Support Program to facilitate the delivery of services that will help resolve issues faced by the people in the countryside. 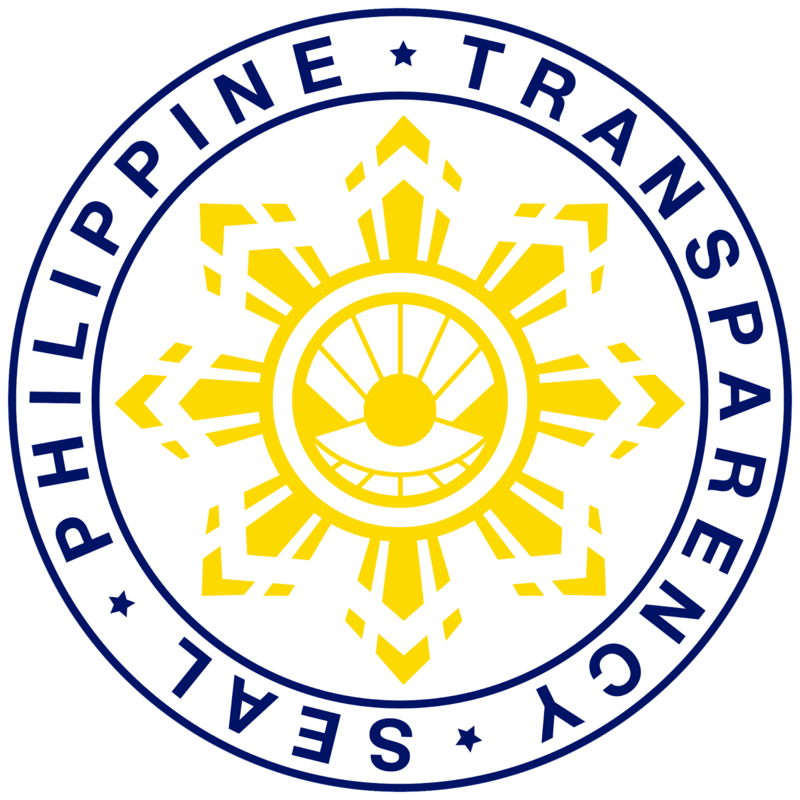 This will complement the peace initiatives of different Local Government Units (LGU) in their respective areas particularly in resolving issues of conflict. 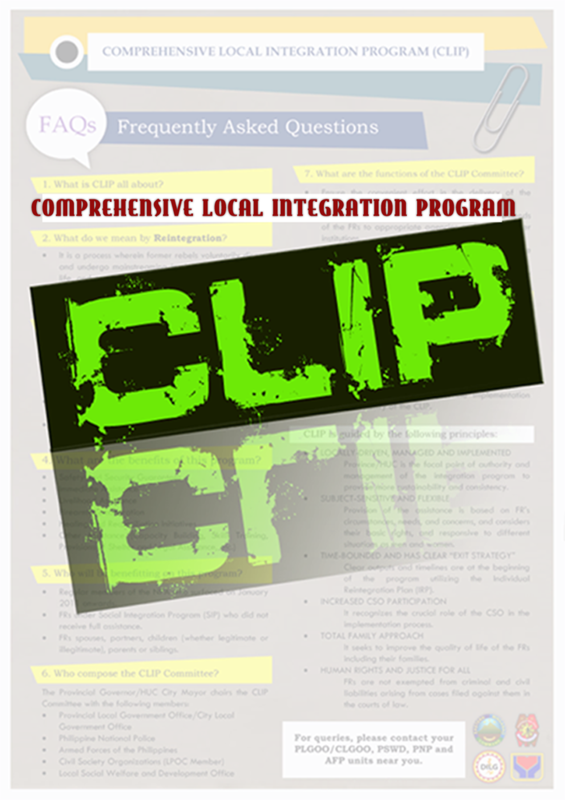 In coordination with the Office of the Presidential Adviser on the Peace Process and the LGUs, the Command will continue to assist NPAs who would want to return to the folds of the law through the Comprehensive Localized Integration Program.